Amazing views await at this beautiful cozy loft penthouse unit on Saddleback Mountain in the Rangeley Lakes Region of Maine. Built in 2007 and well appointed, this unit offers direct access to hiking on the Appalachian Trail, biking, nordic and back country skiing, alpine skiing, snowshoe trails and over 100 lakes and rivers for fishing, boating and swimming. A short trip to the villages of Rangeley and Oquossoc where you will find great restaurants and quaint shops. Drive easy and watch out for the Moose and Deer. Unit is fully furnished with kitchen, dishwasher, laundry and Dish TV. It is perfect for couples who love the mountains, lakes and woods and enjoy hiking, skiing, fishing, snowshoeing, cross country skiing, mountain biking, or just looking for a romantic getaway. There few views better that the panoramic mountain sunsets from the deck at South Branch. BE ADVISED THAT SADDLEBACK ALPINE AREA IS IN THE PROCESS OF SALE AND LIFTS ARE NOT OPERATING... Sugarloaf and Black Mtn. are about 50 minute drive. Greetings my career has always been about the outdoors in the skiing and tennis industries. I serve as Chief Training Officer for the Saddleback Mountain Ski Patrol and was a successful tennis coach and players, accompanying the USA Olympic Tennis team to Beijing in 2008. I bought this unit while it was under construction... I climbed a ladder, looked at the view and was sold. Recently I purchased a larger unit higher up the mountain, but I am pleased to be able to offer this unit for guests to enjoy the exquisite natural beauty of the Rangeley Lakes Region and its environs. There are few views better than from the deck at "Cloud 9" and you can ski, hike, mountain bike right from the guest locker room on the back side lower level. Trail runs right behind building and guest locker room. Fishing, hiking, mountain biking, cross country skiing and snowshoeing. Great views and great snow adventures! Robert's condo was perfect for our last snow-filled weekend of the season! We had a gorgeous view from the deck, and popped our snowshoes on right outside the door. Cross-country ski trail system was only 2 miles down the street and if we had skins we could have also skinned up Saddleback to ski down. The condo was in a quiet and peaceful location, it was impeccably clean, and the gas fireplace was a welcome feature after our outdoor excursions. Robert was also available for any questions we had during our trip. We would definitely come back in the summer or winter! Thank you Robert! Me and my girlfriend stayed at Roberts place for 2 nights and wish we could have stayed longer! Upon arrival everything was very clean and a guestbook was provided to help navigate around the town with places to eat and things to do. This location is very private with a nice deck with view, the pictures don’t do justice! This place is great for two looking to relax and explore. This condo had everything we needed, except maybe more reading light (minor matter!) The view was beautiful, and the guide book was especially helpful in aiding us to where to hike and eat. Very nice condo. It is a bit "out of the way", but it fit in very nicely with what we were doing. Cozy, clean space. Amazing views of the mountains, and very classy overall appearance of the place. Only thing I would change would be the bed, not too comfy, but very awesome stay!! I had the pleasure of spending part of my vacation at Mountain Loft in Rangeley, Maine. At the onset, I was mesmerized by the panoramic natural views, great weather, superb amenities, proximity to several hiking spots and local favorites in restaurants and sightseeing. My host, Roger, provided sufficient information for the stay to be relaxing and enjoyable; the unit itself was well maintained and aesthetically pleasing. I’d highly recommend anyone seeking to decouple themselves from busy city life and appreciate nature, to consider Mountain Loft and Rangeley, Maine as a destination in their vacation. 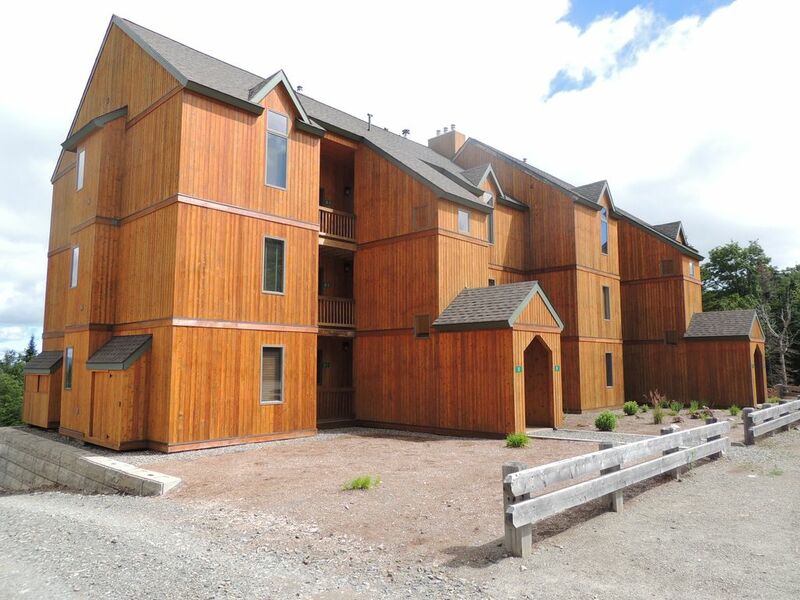 This condo has amazing views of Rangeley Lake and the surrounding mountains. The condo is cozy and comfortable. The area offers a lot for the outdoor enthusiast. We did some beautiful hikes and mountain bike riding. If you are looking for a place to stay in the Rangeley area I would highly recommend considering this condo.